I1029 1892 - 1967 (74 years) Submit Photo / Document Has 4 ancestors and 43 descendants in this family tree. 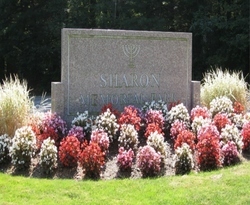 [S246] Shalek, Israel Abstract of Record of Birth, (Commonwealth of Massachusetts, State Department of Public Health, Registery of Vital Records and Statistics). [S832] Massachusetts, Town and Vital Records, 1620-1988.